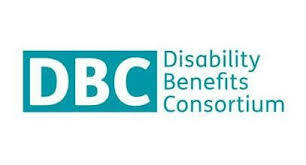 The Disability Benefits Consortium (DBC) has just announced an impact survey ‘Moving from DLA to PIP’, and is inviting people with relevant experience of the migration from Disability Living Allowance (DLA) to Personal Independence Payment (PIP) to complete it online. This survey is about the experiences of people who were claiming Disability Living Allowance (DLA) and then had to apply for Personal Independence Payment (PIP). We want to know if this was an improvement or if it had any negative consequences for you – for example, did it reduce your finances and make it more difficult to stay independent? Or perhaps you got a higher amount and it improved your life? The survey should take about 10-20 minutes to complete. If you need to take a break whilst completing the survey, use the ‘save and continue later’ button at the top of each page. Please consider contributing your evidence via this survey. However, Rescare is well aware that many persons with learning disabilities are at the ‘back of the queue’ for migration. The government (in the form of GOV.UK) no longer hosts any online schedule for DLA to PIP migration. Instead you will find a webpage entitled “Check how Personal Independence Payment (PIP) affects you” which introduces the ‘PIP checker’. The target date for the completion of the change to PIP is now September 2017. Most people with a learning disability will have a long-term or indefinite award of DLA. The advice to persons in this category is that “You’ll continue to get DLA until DWP writes to you about when it will end”. So all you can do is wait… but please note that the ‘migration’ process actually comprises a notification that your award of DLA is ending and an invitation to apply for PIP. 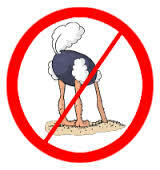 Doing nothing, burying your head in the sand, etc. will not be an option. This does not really lighten the mood, but please note that Rescare recently tweeted a link to a news story on the Disability News Service entitled ‘Serious failings’ in disability assessments, despite payments of £500 million a year . Parliament’s Public Accounts Committee had been highly critical of how contracted agencies have been carrying out Employment and Support Allowance (ESA) and Personal Independence Payment (PIP) assessments – especially for claimants with ‘fluctuating and mental health conditions’. The committee awaits the government’s response.